I had an absolute blast with last year’s edition of Pro Evolution Soccer, so I was curious as to what Konami was planning to improve upon. It turns out that the PES 2018 team is filled with perfectionists as their answer was quite a lot. Not content with merely being great, they’re looking to further polish the already satisfying gameplay, bring back features from the series’ PlayStation 2 days, and want to further compete with FIFA from a sales perspective. I didn’t have many complaints about PES 2017 (as can be seen in my review), but I did mention that some of the animations looked rough. That was something the development team took to heart, as the animations have seen a complete overhaul. This is immediately noticeable in the game, as a lot of care has gone to making sure player’s body posture and turning look accurate to real life. A new lighting system has also been implemented, and it helps the overall package look considerably better than last year’s title. Since PES wants to compete with the behemoth that is FIFA, online cooperative play is a major focus for the team. The logic behind this is that while they’ve been able to get people to switch football games each year, they want to get groups of friends to switch together. Thus, they’ve added two-on-two and three-on-three co-op play. This can either be done in casual matches, or far more in-depth via the myClub and PES League modes. Konami is also looking to keep their established fans satisfied by adding modes that fans have been asking for. For the first time in years, the random selection mode will return. This’ll add a new dynamic to competitive matches, and players will be able to trade players after the teams are selected. Finally, Master League, which is essentially PES‘ main career mode, is getting an overhaul as well. Players will now have a set of objectives and challenges to aim for during the season, and if they want to keep their job, they’ll have to tick them off successfully. Other improvements include a more in-depth transfer system, and making matches feel like a bigger deal with pre-match interviews & more locker room cutscenes. Beyond all of the improvements, I also got to go hands-on and play a match against another player. I managed to eke out a 1-0 victory, and the greatest compliment I can give the game is that it plays a whole lot like Pro Evolution Soccer. As someone who spent a lot of time with last year’s installment, I felt right at home with 2018. The gameplay is just as fun, and now there’s even more modes to experience it in. Konami isn’t content with Pro Evolution Soccer merely being great. 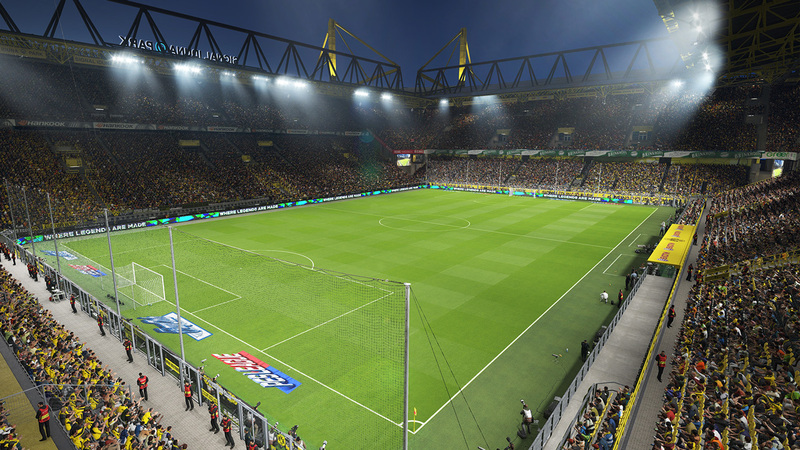 They’re looking to make PES into a FIFA competitor, and to do that they’ll have to offer up a number of great modes. They seem to be on the right track, even if topping FIFA will take years if not decades to do, and fans will ultimately be the victors of both franchises being competitive. Pro Evolution Soccer 2018 is set to release September 12, 2017 for PlayStation 4, Xbox One and PC. Previewed on PS4.